We do everything we can to make sure we find the best financing option for your commercial project. We pride ourselves on taking the time to truly understand your needs and help make going solar a smooth transition for your business. We’ve assisted nonprofits and other organizations to find the right solution for their solar. Ask how our experienced commercial sales team can help your organization facilitate member-fundraising. 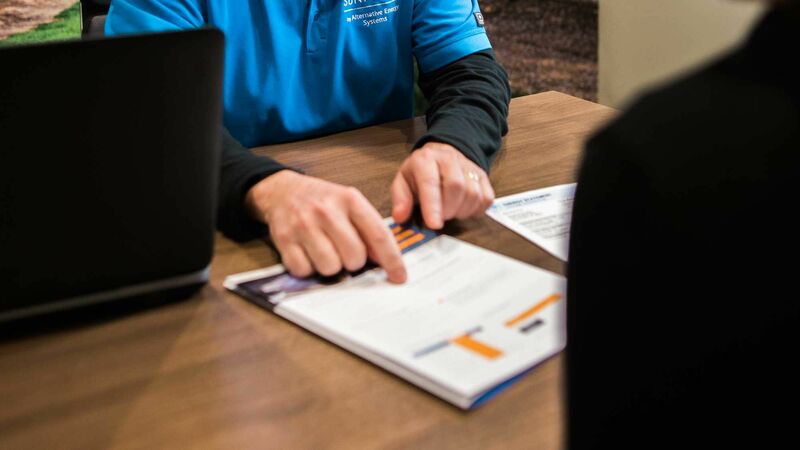 Schedule an appointment and meet with our team to evaluate your finance options today. Call Alternative Energy Systems at 888.225.4984 or fill out the form below.